It is the mission of Greenbrier Middle School to empower students to be successful, productive leaders in society. We are devoted to an engaging and rigorous curriculum, to a safe and student-centered environment, and to innovative teaching and learning that is built on stakeholder collaboration to educate the whole child. GIRLS CAN CODE SUMMER CAMP AT UCA ON JULY 25th. Please click here to access the link for information and to register! GMS student sparks literacy initiative for EAST project to motivate peers to read. GMS students are FIRED UP & READY to ROCK the ACT ASPIRE after their testing bash today! EAST students did a fantastic job sharing their projects at our EAST Night Out! 6th grade Literacy students enjoyed Escape Room test prep stations today! Help support our Greenbrier Destination Imagination teams going to Global Finals in May! 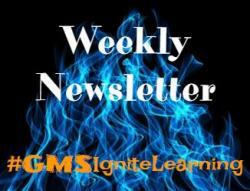 GMS students were rewarded this week with good behavior, great attendance, and hard work! 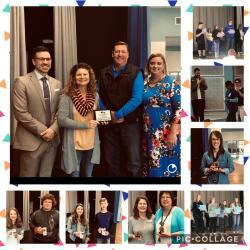 Today was a great day of recognizing achievements at our 3rd 9-weeks Awards Assemblies! 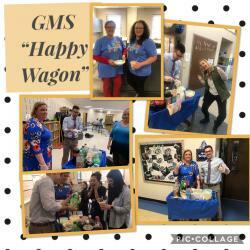 The GMS “Happy Wagon” visited teachers & staff today to celebrate all their hard work! 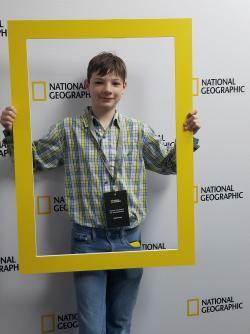 Congratulations to Aidan Williams on competing in the State GeoBee! We are so proud of you! 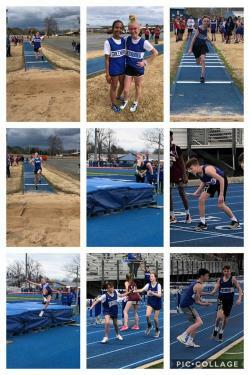 Great job to our 7th grade Track teams today!